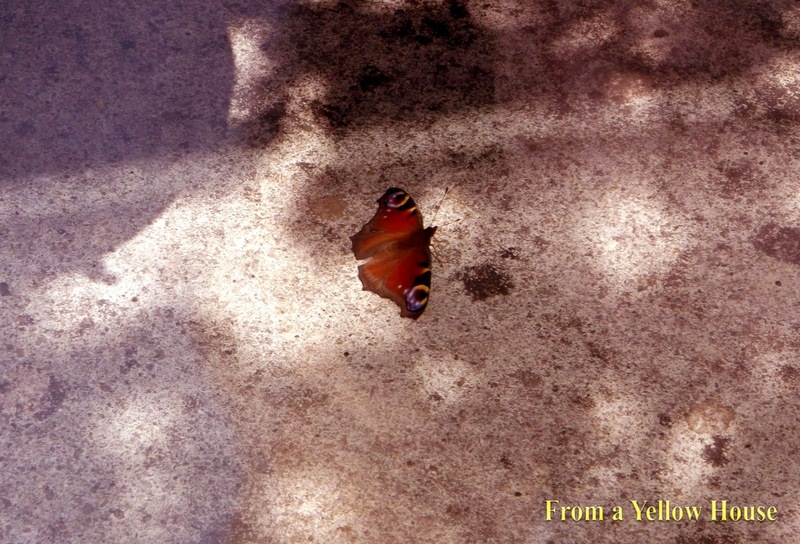 Today's Friday photo is from July 2013 and as you can see it's a colorful butterfly hanging out on a sunny day. Since I posted a photo yesterday showing those optimistic daffodils trying to pop out, I decided to continue with that theme. Even though it's still cold here, especially too cold for my southern blood...Lol...and it's truly freezing back home and all along the east coast of the United States, I'm gonna think warm thoughts! ;-) I know we shouldn't rush time because time is precious, but it's still fun to dream of those warmer days ahead. So here's to dreaming of warmer days, sunshine, and beautiful butterflies that decide to pay us a visit!